Here we’ve compiled a list of 10 domain name suggestion tools that will help you decide the best name for your website’s online presence. Website name suggestions are an important thing to be done before starting your online brand. It not just allows you to search the major domain names like .com, .net or .org but all of the special other domains extensions as well. This thing makes this tools to stand #1 in our today list of best domain suggestion tools. You can choose a special names for your blog or website by filtering from more than 1700 top level domains, 1300+ generic TLDs, and with more than 219 accredited registrars. So, if you are thinking of starting your domains search, domainr is a good option to start with. This is tool that will help you choose some of the most unique domains names that are generally quirky. You have to make use of a few prefixed and suffixes to find a good combination to form a good words to choose. One cool feature of this tool is that the domain which you like for a while and wanted to think about it later on, you can mark or set it as a favourite. Thus, when it’ll be the time to choose the final naming for blog, you can sort out from the favourite ones. 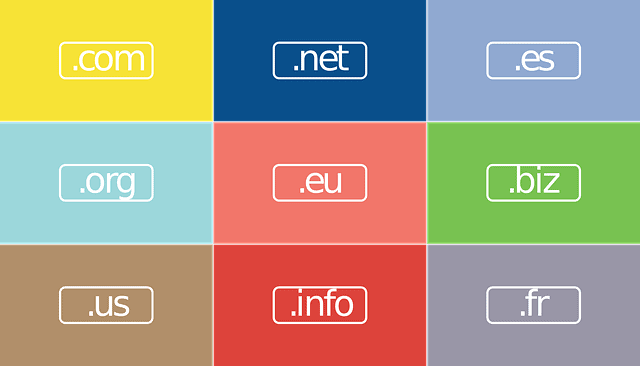 It’s one of our Favourite tool to research about domain names. You can find any kind of perfect domain name using BustAName as it name itself signifies. It can be used in the way of a word combiner, prefix, and suffix adder to find similar words. BustAName is a popular research tool to suggest domain name. It’s easy to use and have two options. Either you can start from scratch by entering the words you want to make use of in the domains or simply the other way is to quickly search out. Basically it is a generator tool which you can make use to generate various kind of domain name on the basis of specific keywords. It also provides you with great works including selected nouns, verbs and adjectives. One good thing about this tool is that your user-experience will be awesome while making use of this tool for researching any kind of domain. And it’s time consuming to find good names using Impossibility!. Opposite to the meaning of its name you can find the impossible to find great names easily using its powerful and handy features. NameBoy is also a similar domain Research tool but with lots of differences to make the motive easy to achieve. You can perform search using keywords with one or two words. This also allows you to make use of hyphens and the words including the rhyming words. NameBoy is pretty simple to use. You have to just enter the keywords which you want to include in your domain name and rest you have to leave on this tool. It will display you lots of domain names and will also tell which one are available to purchase, which is a good way to tell the user about the existence of the domains. Instead of repeating the same lines here, in short, this tool is a similar tool to the above mentioned tools. But a cool feature of this tool is that alongside of generating random domain name, after checking the availability, if somehow, a domains is not available, it will help you choosing another good domains by suggesting a few more related names. It’s very fast and pretty easy to make use of. Name Mesh is one of the most powerful tool to research about the names with ease and flexibility. It make use of things like synonyms and antonyms. You can enter the keyword you want to be in your domain name. Instead of just displaying your research and suggested domains including your keyword, it will also display you the names having their antonyms or synonyms. It has over 20 generators which compiles the list and suggests you the domain names. This one helps you a lot in any kind of domains research and this also has been possible because of the tool’s ultimate artificial intelligence. You can make use of spaces between the keywords and it will display you much improved domain names as a result. Domize offers an encrypted kind of environment to search domain names. It is a bit more professional in the regard of security than the other suggested or shared tools listed in this article. It also checks for the domain name that it is suggesting you is a fresh new domain or a previously registered domain name. It provides you results instantly. As soon as you start typing the keyword you want your domain name related to it will start listing the domains from which you can choose accordingly. It is basically used to create made-up words. The best part of this tool is that this tool generates unique and good sounding words. This tool is perfect for those who not wanted their domains to be longer than 10 letters as the words it suggests it’s not more than 10 letter long. One unique feature of this tool is that you can select from 5 different languages. To create a unique blend, you can even mix and match languages. This one suggests it is tool to puzzle various words to form unique and awesome website names. It offers various options like, Easy, Advanced, Magic, Page Rank to research about various names. The website is pretty simple but powerful. You can select which domain name extension you want to include to perform the domain search. You can checker other important tools like free online grammar checker and free plagiarism checker tools and important sites to buy backlinks high DA also. So, this is our list of 10 domain name suggestion tools which you can make use of to research about new domain names. If you find our article useful, please do share it with your friends on social networking sites like Facebook, Google+ and Twitter. And to stay updated with us follow us on social media. I will use next time when buying new domain name.